Because they taste - well - AMAZING. I posted them a couple of years ago. But you didn't make them. So I'm posting them again. If you don't make them this time. Preheat oven to 350. Butter 9"x13" pan. Cream sugars and butter together until light. Beat in eggs and vanilla. In a separate bowl wisk together flour, crumbs, baking powder, and salt. Add to butter mixture and mix at a low speed until combined. The dough will be the texture of cookie dough. Divide dough in half and press half into an even layer in the prepared pan. Lay the chocolate bars over the dough. I didn't use half of the fourth candy bar - although it could have been squeezed in somewhere! 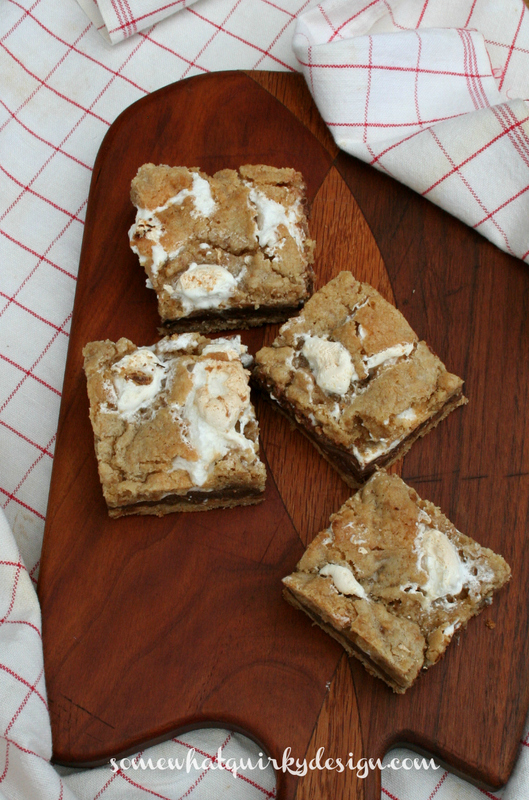 Spread the marshmallow creme over the candy bars. I didn't use quite all of the creme either, but it wouldn't hurt to use it all. Spread remaining dough over the marshmallow creme layer. This is best done by flattening the dough into little tiles and laying down over the creme. Don't worry about getting it perfect. Place in the oven and cook for 30-35 minutes. Let cool completely before you cut. Because when they are soft and gooshy they are fantastic. And they are pretty tasty the next day when the chocolate is hard and it tastes like you are eating a candy bar between soft cookies and marshmallow. They also tolerate microwaving - 15 seconds or less. Oh, and this time I made part of them with Hershey Special Dark. I like the milk chocolate better but if your a dark chocolate lover you might prefer it. If you like recipes with pictures you may want to refer to the original post. But whichever post you use, make them. 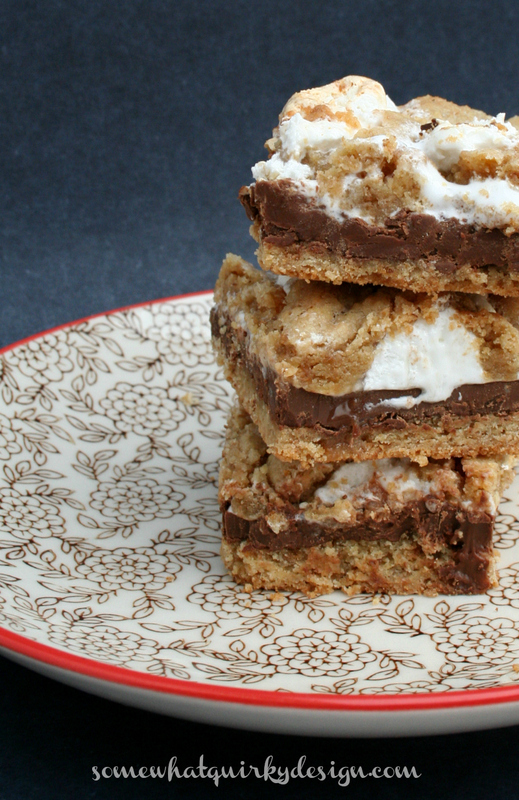 You are not very nice, tempting me with s'mores. 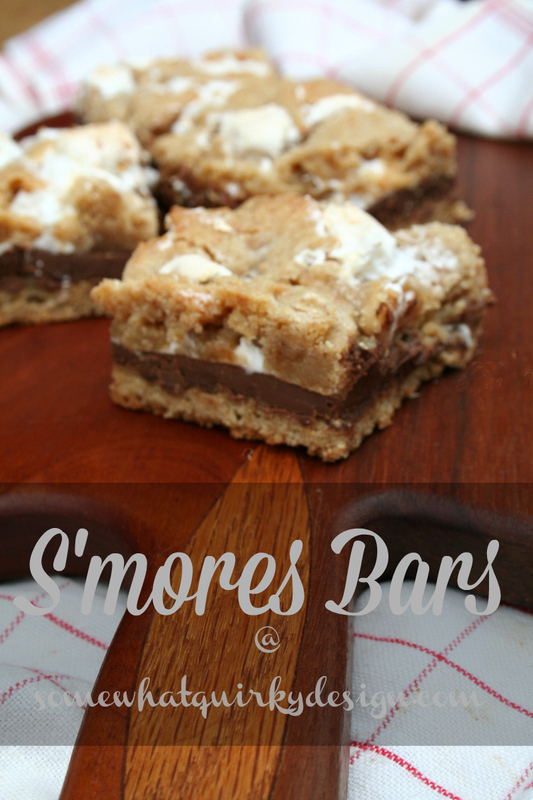 My daughter's boyfriend loves s'mores so I am going to share this recipe with her. Does that count if she makes them and not me? I can't believe you didn't bring me some of these. They look delish! These look YUMMY! 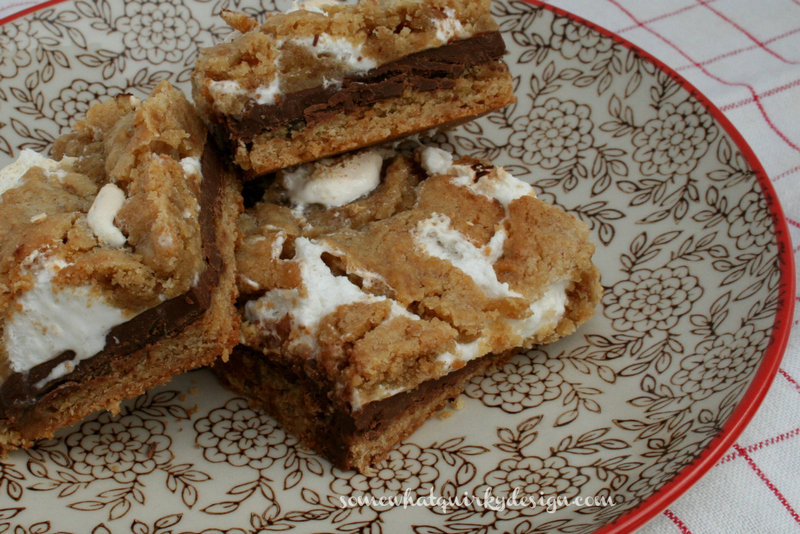 I love s'mores :) Pinning so I can make these soon. These look absolutely delicious!!! I will have to give these a try! I'm stopping by from the Treasure Box Tuesday linky party! Thank you for the recipe. I am going to make these for a group of firefighters I bake for once a month. Should be good and fun. Love your blog.